We design machines and equipment to suit the individual needs of our clients. We deal with complex construction and modernisation of machines, assembly stations and equipment. 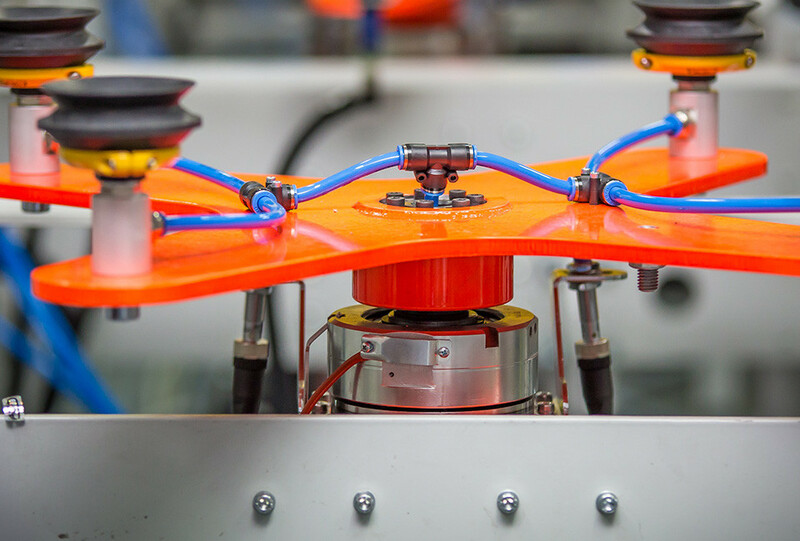 We produce technologically advanced assembly and test stations equipped with industrial robots, visual inspection stations and our own extensive machine park. We focus exclusively on the best technological equipment for robotic workstations. We offer you complete realization of construction of machines, production lines or equipment, the beginning of which is a precise design. We also offer you the modernization of your machines. Every order is executed on the basis of technical documentation and an appropriate analysis of needs. At the request of our customers, we manufacture machine components and equipment as well as carrying out thorough supervision of individual stages of machine, production line and equipment construction. Each realization is finalized with a declaration of conformity. Thanks to our team of qualified engineers with extensive know-how, we are able to provide you with high quality machines and devices equipped with advanced technical solutions. We adapt flexibly to the needs of our customers and work with full commitment to improve efficiency and industrial processes in your plants. Constructing and modernising machines by Armex guarantees the highest level of cooperation.